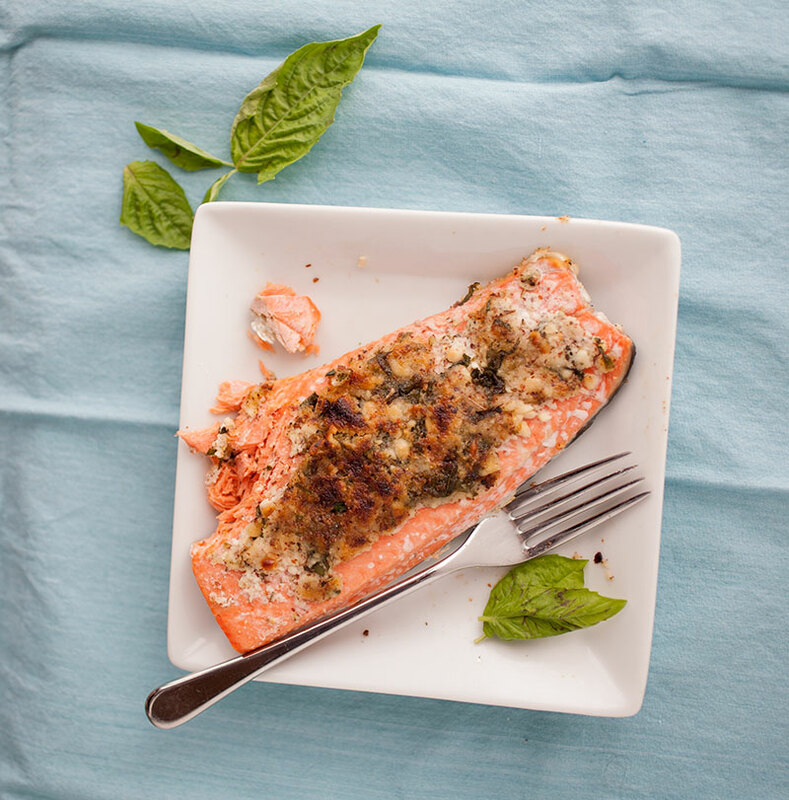 I love salmon in almost every form—smoked, teriyaki, grilled, pan-fried, raw and cooked in sushi, etc. This recipe is so good—it turned out even better than I thought it would. Everyone who’s tried it has loved it. And, as with all of the recipes on here, it’s quick and easy to make! It’s also gluten free, dairy free, and egg free (but not nut free, because, well, pine nuts). I guess I’m on a New Mexican-products kick this month because pine nuts are a New Mexican specialty—piñon is pine nut in Spanish. The piñon pines all over the state drop the nuts—people go out and pick them over the weekend during the season. We actually have a tree right outside of our house, although we never get to the pine nuts before the birds do… There are also several companies that roast piñon coffee, which I adore for its special nutty sweetness. 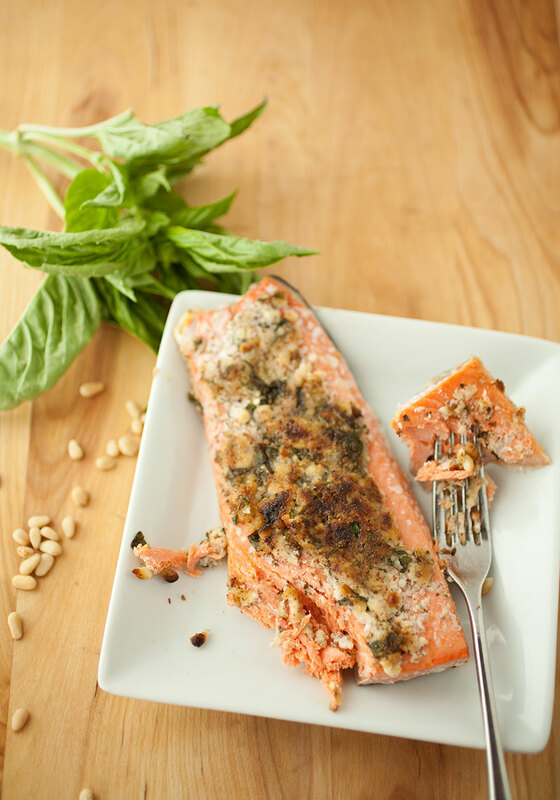 Anyway, this recipe uses a mix of pine nuts and almond meal to make a crust for the salmon that goes perfectly with the subtle flavor of the salmon. I also add a few herbs to the crust for extra flavor (and salt and pepper, of course). Because the recipe calls for almond meal and almond flour, getting the crust to brown and crisp can be a bit of a challenge. The best way to do it is to mix in either olive oil, or another type of neutral oil so that the mixture gets sandy, but not wet. If you use too much oil, the crust will end up oily. There isn’t any exact proportion I’ve ever been able to figure out, however—it’s more of an art because every piece of fish is so different in size. 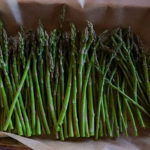 The only special ingredient is either a cedar plank or a cedar wrap, which are optional, but I also highly recommend it. 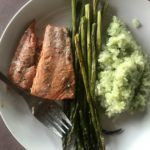 The flavor of the infused cedar just adds a special layer of flavor that really accentuates the piñon/almond/salmon combination. Guys, this! 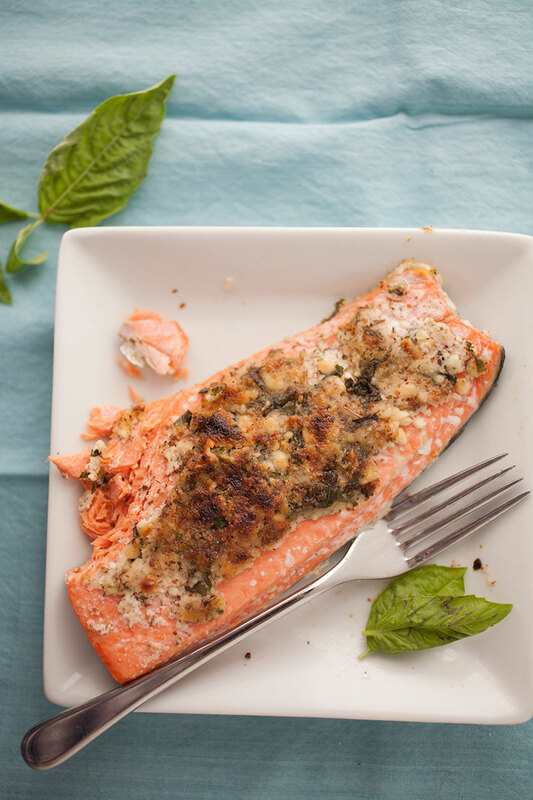 This salmon recipe is full if bright, nutty, favors in a crust—it’s a delicious gluten-free and dairy-free way to make your salmon! Preheat the oven to 350° or the grill to medium. Place the cedar planks or cedar wraps in water to soak according to package instructions, if using (usually 20 to 30 minutes). Combine the almond meal, pine nuts, lemon juice, and seasonings in a bowl. Mix the topping with just enough oil to moisten, but not enough to make it look oily. 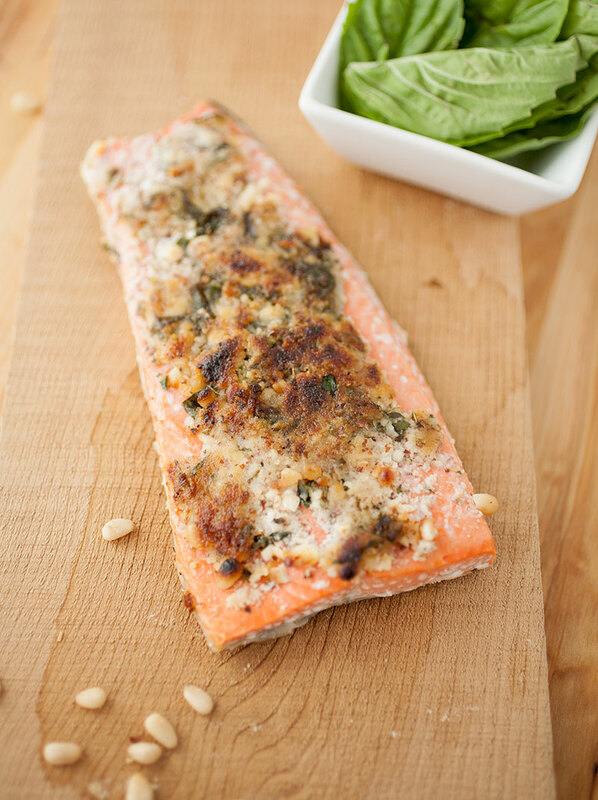 Place the salmon filets on a paper-lined pan and pat the almond-pinenut mixture on top, firmly. Place the salmon on the plank or in the wraps and cook for 10 to 20 minutes, or until you see a bit of white coming out of the salmon (check often, it happens pretty fast). In a few weeks, I’ll post a side dish full of the cozy flavors of fall! It would also go perfectly with next week’s recipes and also this sweet and spicy roasted butternut squash!